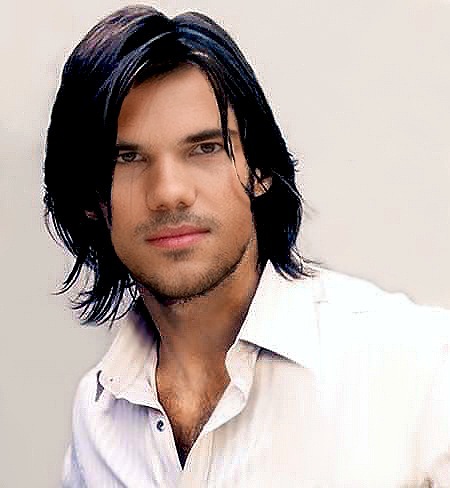 This Taylor Lautner fan art might contain پورٹریٹ, آرچر, closeup, تصویر, and ہیڈشوٹ. A few days ago I was thinking how good Taylor will look with longer hair, but now I know that I was wrong. That chest hair is really disgusting! I think he is handsome with hair or without hair, long or short he is unique!!! he is a unique put cut the hair, long hair does not look good on him.